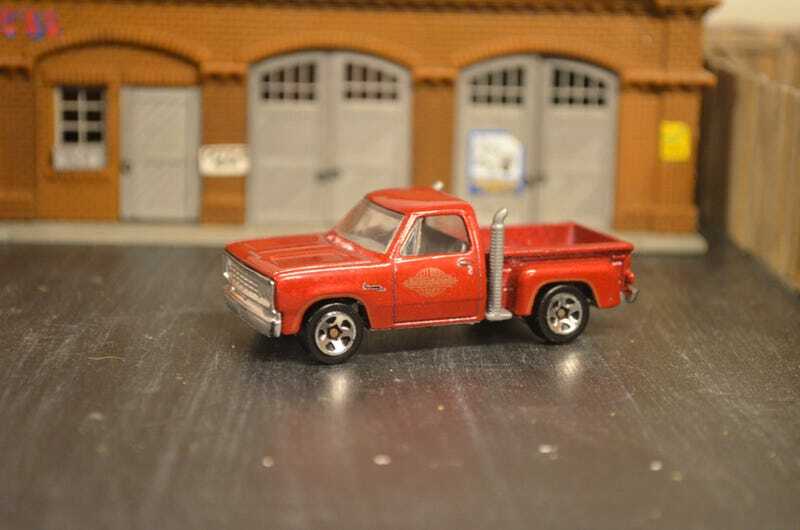 For Truck Thursday I present a Hot Wheels Dodge Little Red Express. In the mid-70s Dodge realized that while emissions laws were strangling car horsepower, trucks had little emissions requirements. The result was them producing a line of Muscle Trucks, the Little Red Express being the most famous.